Hikari Sinking Wafers provide a scientifically formulated diet For catfish, loaches and other bottom feeders. These nutritious mini-meals are made with spirulina for better health and are easy to digest for clean water. 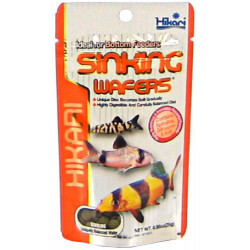 Keep them active and healthy with Hikari Tropical Sinking Wafers! Exacting Nutrition Hikari Tropical Sinking Wafers were specifically developed for corydoras catfish, loaches and other bottom feeders after extensive research into their nutritional requirements and eating habits. They're made with high levels of vegetable matter that bottom feeders prefer and love, with stabilized vitamin C to reduce stress and build disease immunity. The unique wafer shape allows bottom feeders to swallow easily, and will not dissolve or cause clouding. 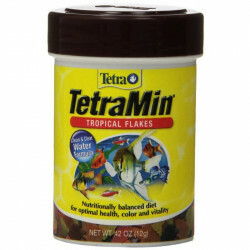 Ingredients: White Fish Meal, Shrimp Meal, Wheat-Germ Meal, Wheat Flour, Soybean Meal, Alpha Starch, Brewer's Dried Yeast, Spirulina, Carotene, Vitamin A, Vitamin D3, Vitamin E, Vitamin K3, Thiamine Mononitrate, Riboflavin, Choline Chloride, Inositol, Calcium Iodate, Manganese Sulfate, Magnesium Carbonate, L-Ascorbyl-2-Polyphosphate (stabilized Vitamin C). I tried these instead of the usual brand I use. These are smaller than my normal sinking pellets, but I am liking that because they get eaten before fouling the water. I can also distribute them around the tank better. The fish like them A LOT, which is the main thing. Great price and shipped fast, as always when ordering from Pet Mountain. The wafers sink to the bottom of the tank and the fish have a feast. My other tropicals also join in on the feast. Buying in bulk is a real money saver and I will continue to shop with Pet Mountain. All my fish like these, although I put them in for the bottom feeders. I have female Bettas, guppies, Rainbowfish, Giant Danio, platies, balloon mollies, White Cloud Minnows, Cherry Barbs, a spotted cory, Kribensis, Red Flag cichlid, kuhli loaches, otos, and an angelfish, and they all really go for it. So do the Red Cherry Shrimp and the Dwarf orange cray fish (CPO). They like them a lot more than another brand that I've had before. I'd highly recommend it. It also has very good, nutritious ingredients, which is important to me. My Corys LOVE this food! 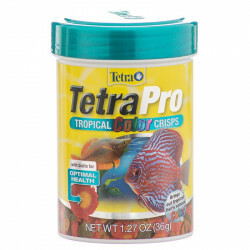 After trying many wafers for my corys, I find that this product is one of the best on the market. I am sold! My LFS recommended these for my Cory Cat's, and as in most cases Petmountain had the best price. Even my Angel fish eat them. Not sure why but my fish (LOUCHES,BARBS) won't touch it. My catfish wont even eat any other food after I feed them this. They are perfect! My Kuhli loaches love this stuff! I have 10 kuhli loaches in my tank and they absolutely love this stuff! It's really great and they are happy as can be! 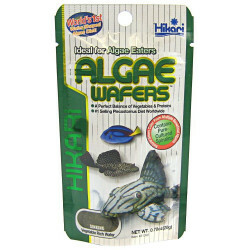 My fish LOVE these wafers! 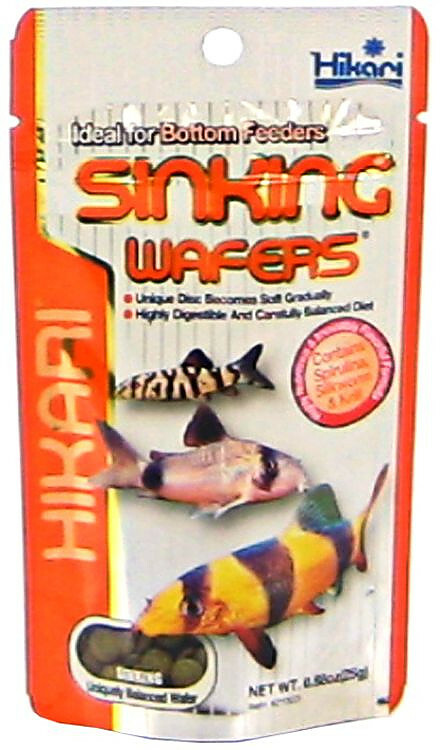 I've been getting Sinking Wafers for a few years now. All my fish love them. They dissolve slowly and keep the fish busy for at least 30 minutes. I even put partial wafers in the floating breeders after the mother is removed. The little fry start picking at them and eating right away. I love them! All the fish in my husbands tank just love this. I have seen a big inporvement in the over all look and health of the fish, also have seen a big growing season in them also.